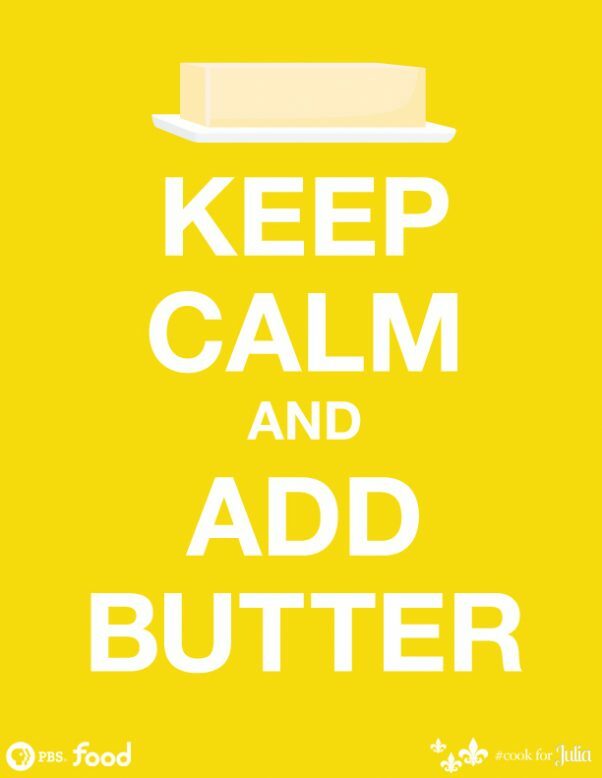 It all started at the hair dressers…….I’m sure that’s how all baking stories begin right? I was getting my hair done and reading through the Martha Stewart Living. Mmmmm…time to start thinking about baking, gifts, and COOKIE EXCHANGE. I’m excited about it this year. Too many years have passed where I was too stressed out to think about making five dozen cookies! The Fearless Cooking Club is meeting at a neighborhood Cookie Exchange where 30+ people will gather. What kind of cookie should I make??? So many Christmas and Holiday sweets, treats, and bars to pick from. I am overwhelmed. 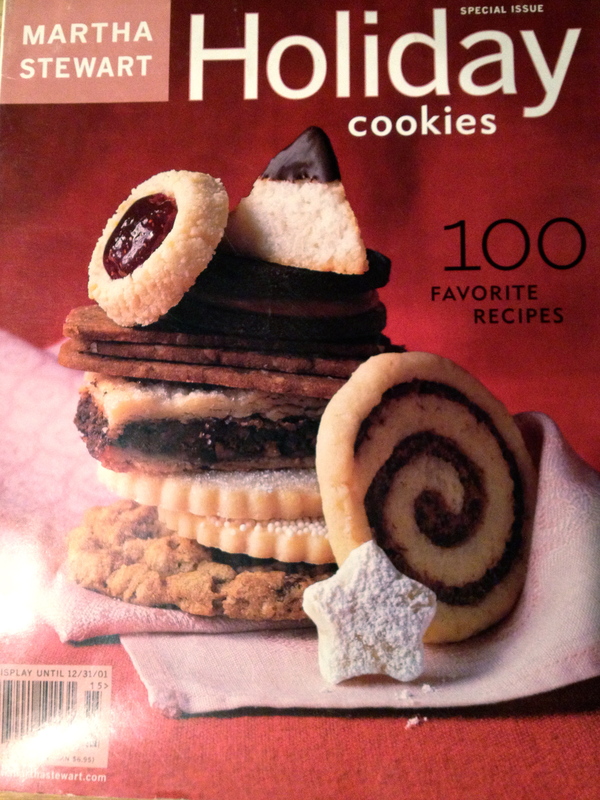 I pulled out several cooking magazines and found this Martha Stewart Holiday Cookies magazine from, oh my gosh really? 2001? My how time flies. So many cookies have passed by in the past decade. I have decided to try out two or three cookie recipes and then choose which one to bring. 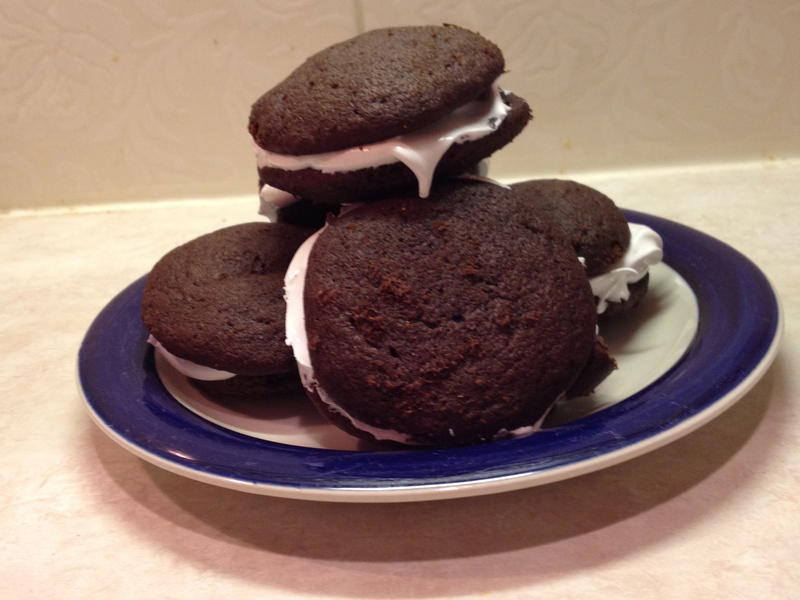 I saw this recipe for Whoopie Pies. Oh they looked so cute! I have never made them before and they are pretty popular right now in baking circles. It was a perfect night to bake: seven inches of snow had just fallen, the temperature dropped below zero and the kitchen was warm and toasty. Preheat the oven to 400 degrees. Sift the dry ingredients in a bowl and set aside. Cream the butter and sugar in mixer. Add the eggs, buttermilk and vanilla until combined. 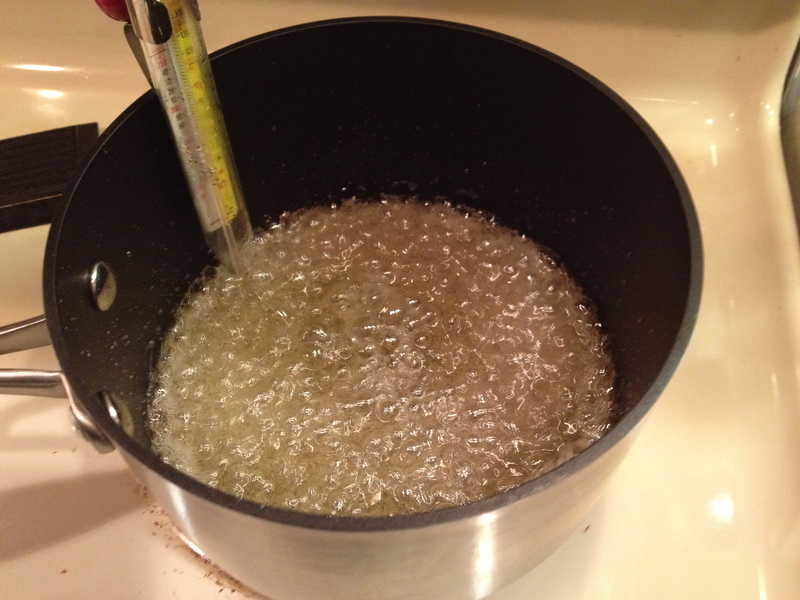 Then add the dry ingredients a little at a time until completely mixed together. I scooped the mixture into a piping bag to make similar sized cookies onto parchment paper lined cookie sheet. Bake the batter 4 minutes, turn the cookie sheet around, then bake another 4 minutes. Cool the cookies on wire rack until ready to make the sandwiches. The filling is Momma Reiner’s Homemade Marshmallow Creme from Martha Stewart’s website. It consists of soft ball sugar syrup added to whipped egg whites. 1) The wet mixture of the cookie batter was pretty sloppy when the buttermilk and eggs were added. Mix slowly. 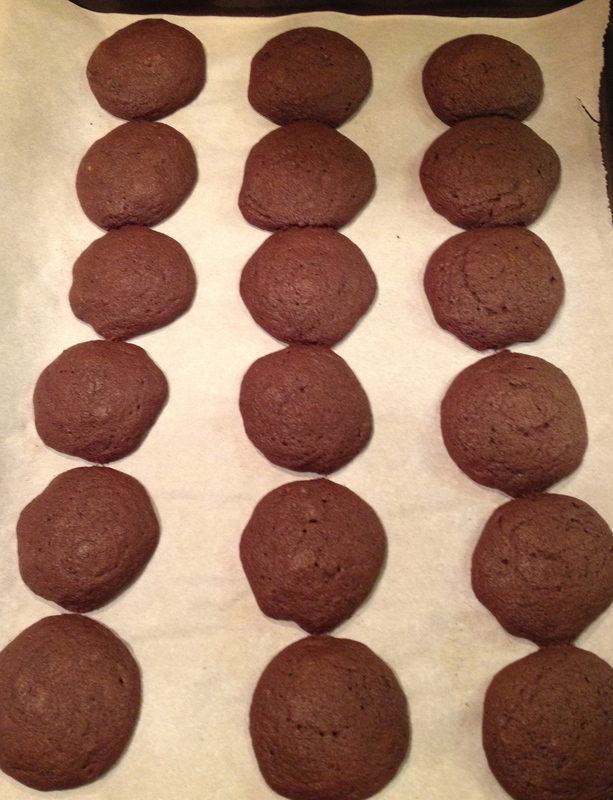 2) I spooned the batter onto the cookie sheet for the first batch. I then realized that if I was making a sandwich, both sides had to be the same size. That is when I pulled out the piping bag so I could control the size of the batter on the cookie sheet. 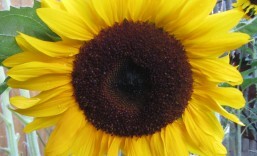 It made a big difference in uniformity. 3) The cookies can be frozen in advance and should be separated by wax or parchment paper because they easily stuck together. 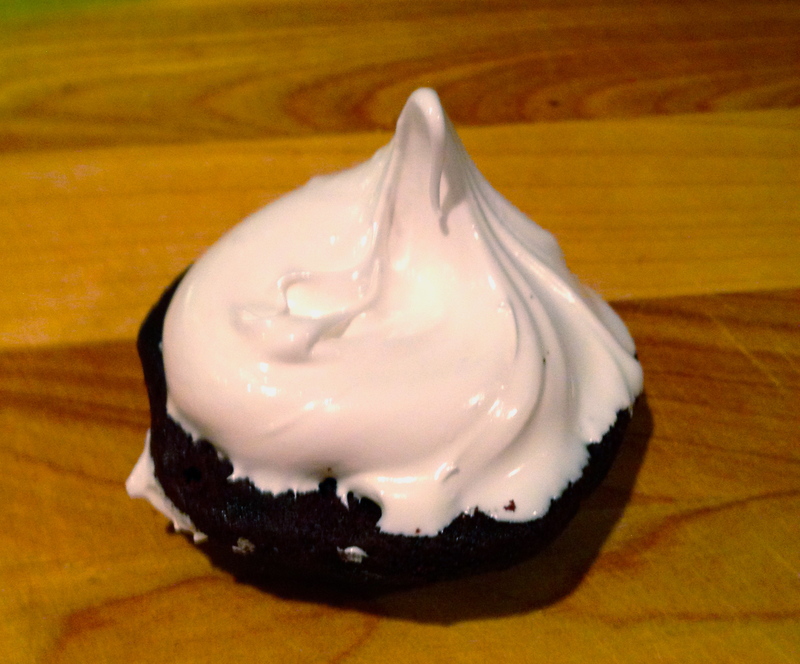 4) The marshmallow creme would need to be made right before making the sandwiches for presentation. 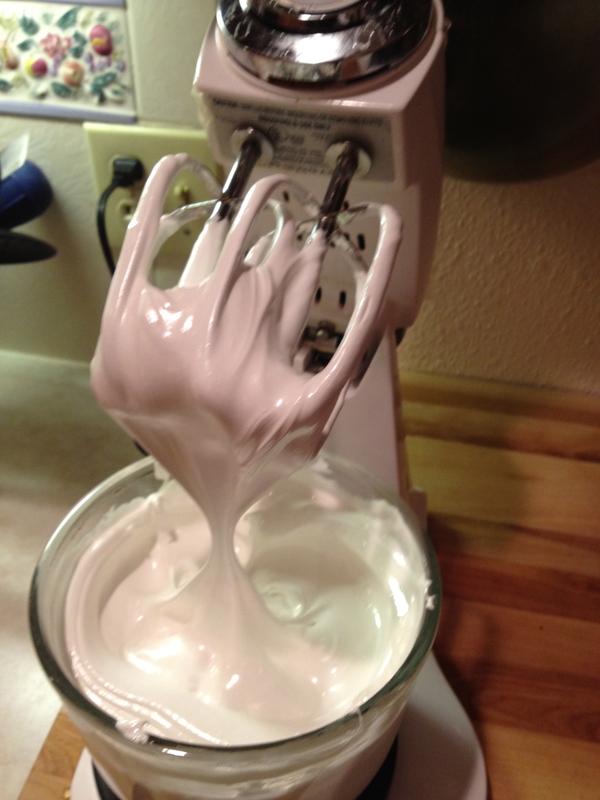 In a pinch, you could buy marshmallow creme in a jar to save that step. Yummy treat, but oh so messy. I would probably wrap them or place them in a secured plastic bag for the cookie exchange because of the messy factor. Since I work full time, I really want a cookie that will be ready to go in advance and easily transported to a party. Something to think about when choosing which cookie to take. Martha’s cookie book has 100 cookies to choose from. What next? I’m thinking I’ll stay with something chocolaty. See you next time on the road to the Cookie Exchange! This entry was posted in Baking, Christmas, Cookie Exchange, cooking, Holiday Baking and tagged baking, Christmas, Christmas Cookie Exchange, Cookie exchange, cooking, holiday baking, holiday cookies. Bookmark the permalink. 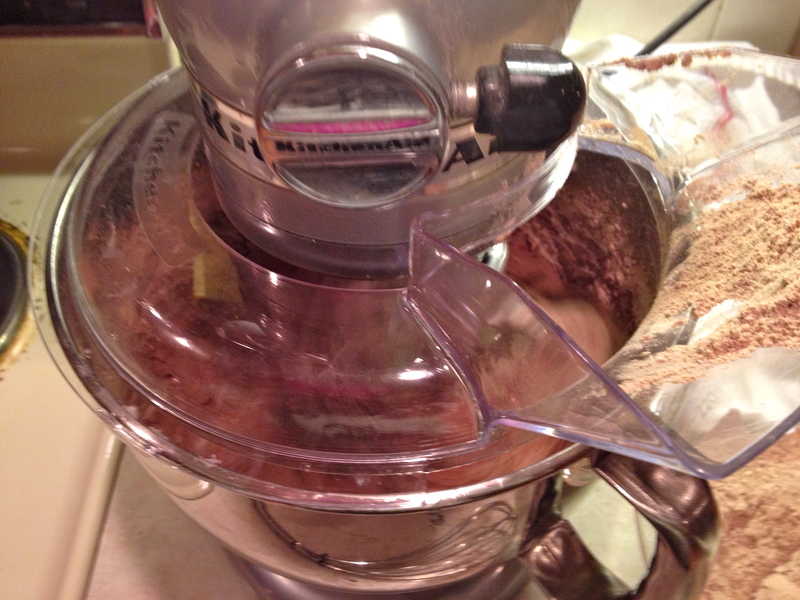 Can’t wait to see your next cookie trial…even if I do gain a pound or two just looking at the pictures! 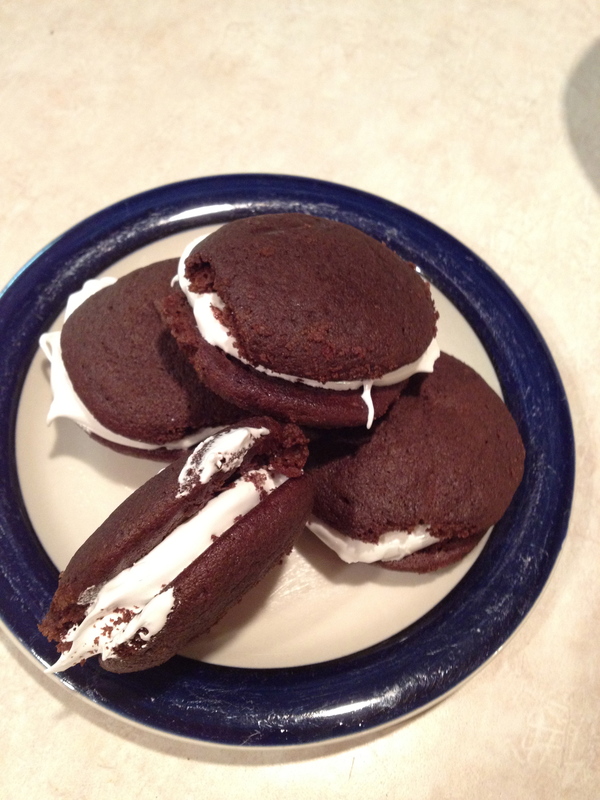 Actually I think kids would love the Whoopie Pies because of the messy factor. I can’t wait to see what I make next either. Those cookies look amazing. I can hardly wait to see what you choose. Yum! Thanks Char I’m excited for the cookie exchange. Hope to see you soon.